Nominate Hither Green Station for accessibility improvements! 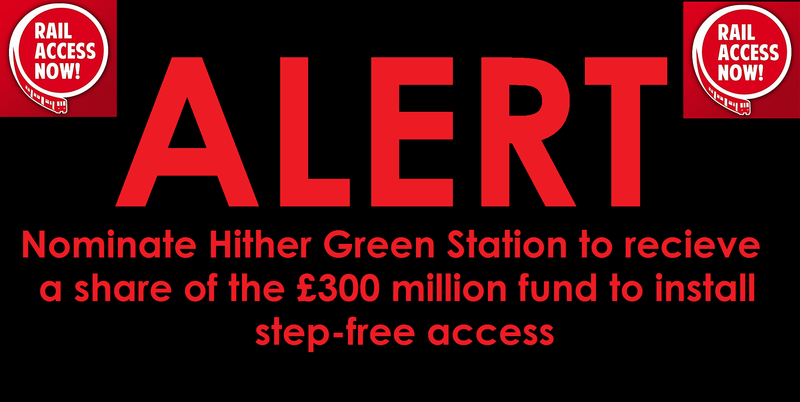 You are at:Home»Community»Nominate Hither Green Station for accessibility improvements! Do you use Hither Green station? SouthEastern Railways is asking the public to nominate local stations to receive a share of the £300 million fund to install step-free access. Hither Green was promised a share of this ‘Access For All’ funding three (?) years ago but the project was delayed. TAKE ACTION: Will you consider filling in this survey and nominating Hither Green Station? Every day there are scores of local people with pushchairs, wheelchairs and mobility issues who are forced to get off trains at Lewisham, Lee or Catford to avoid the flights of steps and the ridiculous ramp at Hither Green. This on-going problem is truly intolerable in 21st Century London. We need ramps and lifts to our platforms! Step-free access improvements have already been made at 13 Southeastern stations in recent years, including Herne Hill, Gravesend and Canterbury West. 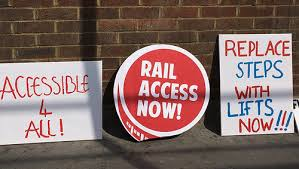 In July 2018, the Department for Transport published its Inclusive Transport Strategy, and announced that up to £300 million of Government funding would be made available for step-free access improvements at railway stations between 2019 and 2024. Southeastern is calling on passengers, stakeholders and mobility groups to nominate their local stations for accessibility improvements that will help disabled passengers, as well as those with heavy luggage or pushchairs.